Last week, INTERNET TELEPHONY Magazine announced their Network Security Excellence award winners for the past year, and Room Alert was one of only four products chosen! Winning this award is not only gratifying for all our team members who work tirelessly to provide the best environment monitoring platform on the market, it also confirms one of our key educational points – monitoring your environment to prevent data loss is just as important as monitoring for intrusion when it comes to data security. Firewalls are an absolute necessity. No organization wants a bad actor to gain access to their network and data. Cybercrime damages are expected to reach almost $6 Trillion by 2021 so it’s crucial to maintain strong network security to prevent data loss and intrusion attempts. Many organizations implement security hardware, either on their own or with an MSP, and feel that they are covering all the bases when it comes to preventing data loss and ensuring maximum uptime. However, nearly 30% of all data loss is going to come as a result of environment factors. High heat due to an HVAC failure, water leaks due to extreme weather or unexpected incidents such as broken pipes or construction accidents, and power failure can all result in data loss just as much as the malicious actions of a hacker. Considering the above factors, it’s an absolute shock to realize that 75% of SMBs don’t currently have environment monitoring in place! Room Alert’s proactive environment monitoring is a key factor when it comes to business continuity plans, and the recognition by INTERNET TELEPHONY Magazine shows that it’s also a crucial part of a comprehensive network security plan as well. Every organization, regardless of size or revenue, is heavily dependent on their data and network availability to act on customer requests. The days of traditional brick and mortar businesses are long passed; without Internet access to promote your products / services to your customers, email to communicate and accept orders, and databases to track shipments and inventory, your organization may not even exist. Reviewing your network security and your business continuity plan should be a year-round exercise, not something you plan for once or twice a year. 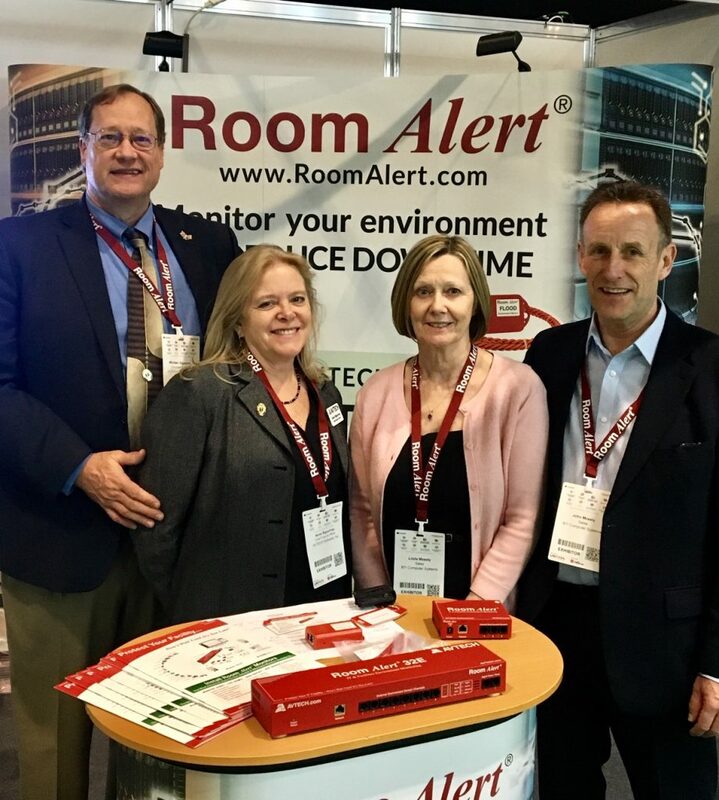 Implementing proactive monitoring with Room Alert is both easy and inexpensive; with monitors starting at just $165, there’s a Room Alert monitor for every need and budget. Room Alert is designed to be easily customizable; we offer many of our sensors in varying lengths to best accommodate the size and setup of your facility. It’s plug and play nature makes setup extremely easy for users of all technical abilities, and you can monitor your Room Alerts from our free included software, the monitors themselves, our Room Alert Account online portal (also included with every Room Alert monitor purchase), or nearly any third-party SNMP monitoring platform. If network security is important to your organization (and it should be!) please contact us today and we will be happy to discuss your concerns and help put together a customized Room Alert solution that will be an exact fit for your organization. Always remember that proactive monitoring is better than disaster recovery! Room Alert is environment monitoring made easy… don’t wait until it’s too late.